Our year starts as it means to go on. Soon as the Christmas holidays are over we begin cropping our Tamsyn daffodil variety. We have grown this variety since 1983 when we bought the entire stock, about 10 kilos, from the breeders. It has turned out to be a real winner, perhaps the best daffodil ever, with attractive flowers, good health, very long flower life and almost the first to bloom each year. We now have over two hundred acres of Tamsyn and we will have up to 250 people cropping. Not many people know that most of the daffodil flowers grown in the UK are exported to Continental Europe especially Scandinavia and will be going as far as Russia this year. Sustainable Loving for Valentines Day A carbon audit of our business has discovered that CO2 emissions due to a bunch of 10 daffodils is 98.8gms, which is only a bit more than half the emissions due to just one stem of rose from Kenya, 183 gms. (Cranfield University February 2007). Roses are red but daffodils are green. 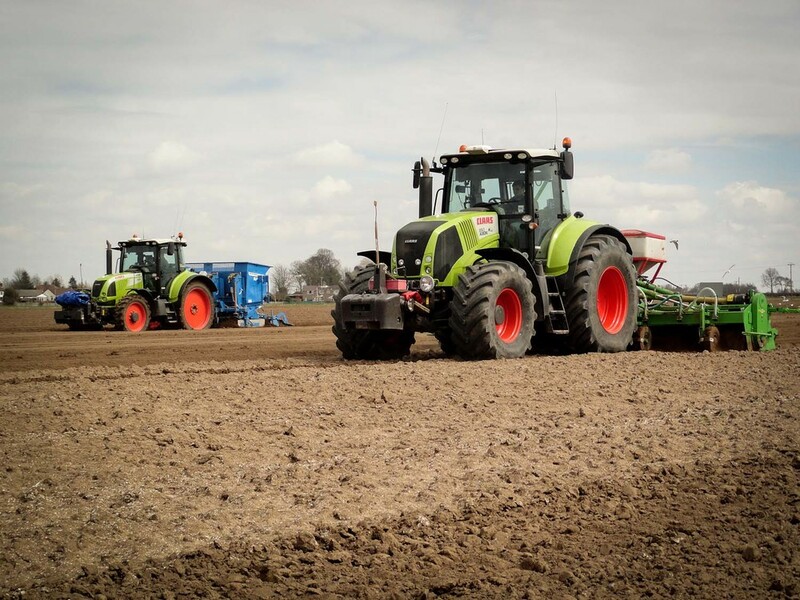 March is the month for drilling Peas, Sugar Beet and planting Onions. If the land is dry and the winter has been cold it will be easy. If there has been no frost more work will be needed. In April soil temperatures will be warmer and it is time to plant 300 acres of potatoes. This is deeper work than onions or beet and larger horsepower tractors are required. We will plant our earliest crops of celeriac and cover with polythene for a July/August harvest .Of course we will be spraying the wheat for weeds and disease and fertilizing also. At the same time we are planting the first of our fennel crops. May is one of the busiest months with 150 acres of Celeriac to plant. There are very few celeriac growers in the UK and it is becoming quite fashionable, although November, December and January are the big months for root vegetable sales. We supply celeriac nearly all year round to DGM Growers who market it to all the better supermarkets so at this time we are still taking celeriac out of store to wash and market. The first half of June is usually quieter (if we have managed to complete our May jobs), keeping the crops clean and growing, but we are planting fennel each week to give continuity at cutting time. . We have to have a sequence of produce for as long a season as possible so the first crops are glasshouse raised and planted by hand; the later crops are from drilled seed which is slower but less expensive. We may be irrigating early celeriac and perhaps even potatoes if they are dry. This is a new development for us. Our river and dyke water is usually too saline but by careful sampling and new methods of extracting groundwater we are finding useful amounts of water in winter to store and use in the summer on the high value crops like celeriac, potatoes and fennel. Daffodil bulb lifting starts in June which is too early really but the customers want the bulbs on the shelf earlier and earlier every year and they are of course always right. Harvesting, drying, cleaning, grading, marketing, hot water treatment for nematodes and planting back will be the biggest task for the next eight weeks. In addition the peas will be ‘vined’ (harvested for frozen peas) by the pea group to which we belong, (Holbeach Marsh Cooperative). The pea fields and the daffodil fields will quickly be ploughed and prepared for daffodils and cauliflowers respectively. Growing and selling brassica crops is a large scale specialist business so the cauliflowers will be grown by another grower. Harvesting continues in August with the onions, which we lift ourselves and the wheat, which is combined by a contractor. 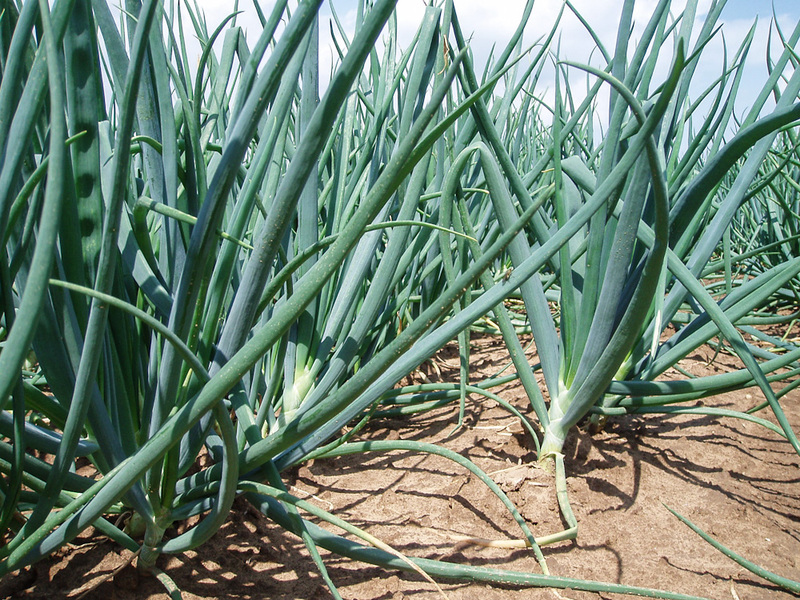 We dry and ‘cure’ the onions in store and sell as soon as possible to make room for other crops. The wheat is stored at a central cooperative store at Boston and is usually exported. We are lifting early celeriac crops and finishing the planting of the daffodils. The fennel is being cut. The big tractors are out deep cultivating to break up any compacted areas in the land. September and October are potato harvest months. We grow Maris Piper for the top quality prepack market as our soil can give an excellent skin finish to the potato and also some newer varieties that have both good growing and eating characteristics . Difficult summers like 2012 can confound our hopes! This is a busy time, we will handle thousands of tonnes and avoiding bruising is vital. The crop is loaded into one tonne boxes and carefully labelled as with all the crops to ensure that it is fully traceable. We follow several growing protocols, some generated by customers, (Tesco Nurture, Marks and Spencer Field to Fork) and some by industry bodies (LEAF, Assured Produce(Red Tractor), Assured Combinable Crops). Traceability is at the heart of all of them along with food safety, staff welfare and environmental welfare. such as LEAF(Linking Environment and Farming). UK horticulture has led the industry and the rest of Europe in quality protocols and we are quite proud of that. Trust the Tractor. We will finish the potato lifting, hopefully in the first half of the month, start ploughing, both for winter frosts and for wheat drilling. Jack Buck (Farms) participate in Environmental Stewardship at the entry level, leaving two and six metre buffers around the fields, managing dykes and hedges for wildlife and planting areas for birdseed, pollen and nectar and rough grass. This will total more than fifty acres of land. We are planting 4 kilometres of hedges this winter. November is harvest time for maincrop celeriac . Celeriac is notoriously difficult to store. We say that celeriac is the vegetable equivalent of sheep. While sheep spend their lives thinking of new ways to die, celeriac thinks of new ways to rot! We have thirty years worth of experience and it is not enough. Celeriac must be harvested in a narrow ‘window’ between maturity and hard frosts and in a wet time we will transport more soil than crop. It can be a hard, cold, wet and slushy slog for us all but we are so lucky with the skills and application of our staff. We are very much a family business with husbands, wives, sons, uncles and aunts and after many years they know only too well how important it is to get the crops into the shed. December is a race to finish the land work before Christmas. 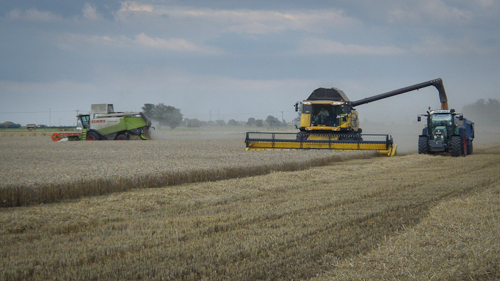 We will have started drilling the 400 acres of wheat in September and all the ploughing for next year. The later we plough and drill the poorer the result generally. Sugar beet is the last crop to be harvested, again by a contractor.